Roofs come in a wide variety of colors and materials, but what is the cheapest roof to install? 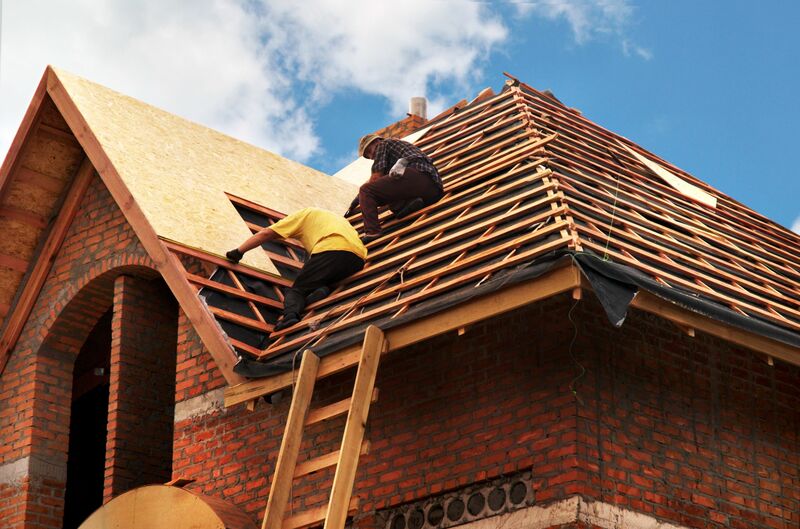 Choosing a new roof for a home is an intimidating experience because there are so many available materials. Most people select some type of asphalt shingle, as they are the least expensive to date. While asphalt shingles allow homeowners with a tight budget to get a new roof at a lower cost, they have issues that some more expensive materials don't have. In the long run, the cheapest materials for roofing can accumulate rather large maintenance costs, making them not so cheap after all. Often, it is the initial investment in the cost of roof replacement that concerns homeowners. This is, after all, a significant investment of $10,000 or more. Numbers that high can scare those with limited savings into cutting corners and buying less expensive shingles. You get what you pay for with shingles for roofs. Cheap roofing shingles can come back and haunt a homeowner later, while expensive materials for roofing can deplete a savings account and leave the homeowner without a safety net for quite some time. Asphalt Shingles - The answer to what is the cheapest roof to install is asphalt shingles. This is the most commonly used and least expensive of roofing shingles. Coated asphalt shingles also meet Energy Star requirements, earning homeowners a significant tax rebate, reducing the cost of roof replacement, and providing home energy savings. Architectural or laminated shingles are thicker and more expensive than the standard three tab asphalt shingles. For a typical ranch style home, installing asphalt shingles and removing the old roof can run at least $8,000. Asphalt roofs last for 20 to 30 years, but insurance companies start to balk at insuring a home when the age of the roof begins to approach 20 years, making it difficult to find home insurance at a reasonable rate. Wood Shingles - Known for their natural appearance and aesthetic appeal, wood shingles are more expensive than asphalt. Installing a wood shingle roof on our typical ranch style home can cost $14,000. Wood roofs require frequent maintenance, are susceptible to fires, and only last 20 years. For a wood shingle look without the maintenance and fire danger, some homeowners are turning to synthetic shingles that look like wood. These synthetic materials are even more expensive, at $18,000 for the typical ranch home. Metal Roofs - These are most appropriate for roofs with very steep or flat roof lines. The lower end galvanized steel roof materials are relatively inexpensive considering their life span. For $16,500, you can have a metal roof professionally installed and expect it to last from 50 to 75 years. Metal roofs are durable and long lasting, requiring little to no maintenance. Slate Shingles - These are very popular shingles for roofs in the Northeastern United States, where slate is quarried. Slate is very durable, and can last up to 50 years. Synthetic slate materials are available for less money, but they are less durable as well. Depending on the quality of the slate, professional installation of a slate shingle roof on a typical ranch home can cost as much as $84,000. A synthetic slate roof, by comparison, will cost about $19,000. Tile Shingles - These shingles are very characteristic of the Southwest United States and areas that have Spanish colonial architecture. Tile roofs cost upwards of $21,000. Ceramic clay can cost as much as $63,000, but comes with a 75 year warranty. So what is the cheapest roof to install? The answer, in the short term, is asphalt. Coated asphalt shingles can earn an Energy Star rebate to make them more affordable, and will save on heating and cooling costs.